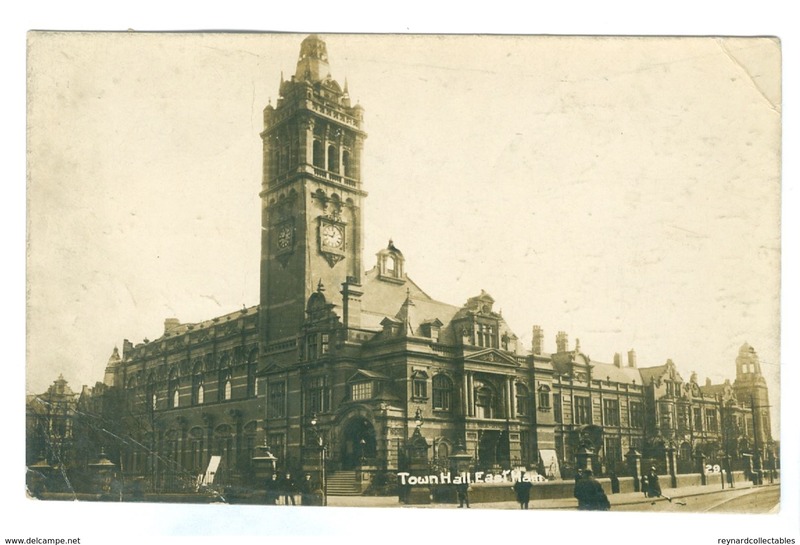 London Suburbs - 1918, GB, East Ham, Town Hall pc, used, Tottenham pmk. Divided back. Some corner and edge bends but in generally fair overall condition. 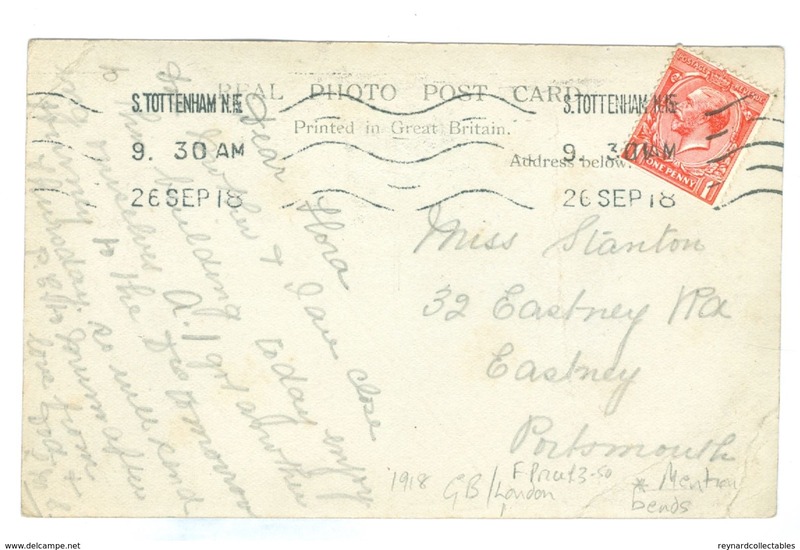 Used, Tottenham postmark.Some light pencil marks to reverse. Divided back. Some corner and edge bends but in generally fair overall condition. Used, Tottenham postmark. Some light pencil marks to reverse.